Abdihakim Guleid returned home to Etobicoke, Ont., three weeks ago after he was released “unconditionally” on Feb. 9, according to court documents from Kenya. 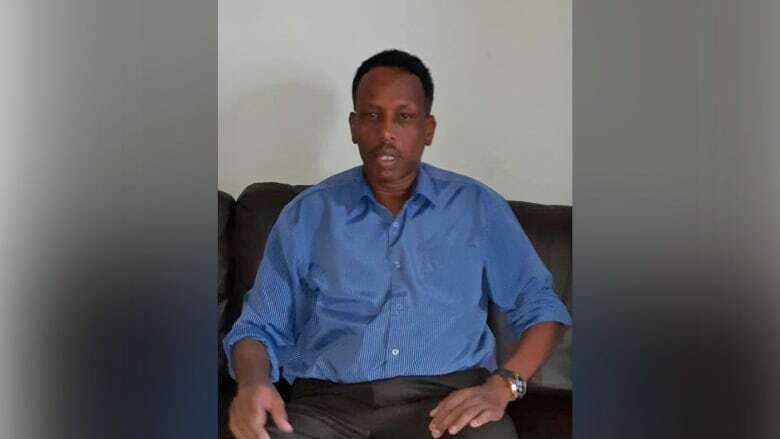 Abdihakim Guleid returned to his home in the Toronto suburb of Etobicoke, Ont., three weeks ago, after he was released unconditionally on Feb. 9, according to court documents from Kenya. On Monday, the 46-year-old was back at his job as a truck driver. Guleid said he's relieved to be back in the country where he's lived most of his life. "Hopefully everything will go smooth and good," he said. "And we will forget [what] happened and move on." That may take some time. Guleid said his Kenyan wife, who joined him in Canada for the first time at the end of February, is afraid to return to her home country. On Jan. 15, attackers fired guns and set explosions in a complex around the DusitD2 Hotel in Nairobi. Victims were held for 18 hours. In all, 21 people were killed. Authorities said all the attackers were killed. The Somalia-based militant group al-Shabaab claimed responsibility. Soon after the siege, police began arresting suspects believed to have supported the attackers. Guleid was among the people rounded up. Guleid moved to Canada in 1992. He became a Canadian citizen while he was working as a gravel truck driver in the Alberta oilsands. For years, he regularly travelled to Kenya, visiting his wife and children in Nairobi. After the January attack, Guleid was at his family's home in Eastleigh, a neighbourhood in Nairobi where many Somali immigrants live. He had planned to bring his wife to Canada on her new Canadian visa. But two days before they were supposed to leave, police arrived. Guleid had just stepped out of the shower when they arrested him. "They terrorized our home with guns," he said. "In front of my wife and children, they handcuffed me and blindfolded me." The four children are between one and nine years old. Guleid said later he learned the reason for his arrest, though he was never charged. The day of the attack, he had tried to make a phone call from the Canadian embassy. He was filing citizenship documents for his youngest son, and when he realized his phone wasn't working, he borrowed one from a stranger. He made a call to his wife from a number authorities said belonged to one of the attackers. According to Guleid and his lawyer, authorities later dropped their suspicions when they found no evidence that the person whose phone he borrowed had anything to do with the attack. A spokesperson for the Kenyan Ministry of Interior did not respond to an interview request from CBC News. Guleid's lawyer, Chacha Mwita, said Guleid was also targeted because of his ethnicity. "He was detained purely on suspicions, and those suspicions were heightened because of his Somali looks and Somali birth," Mwita said. Human Rights Watch in Kenya has researched the conduct of police investigations into terrorist attacks in the country. 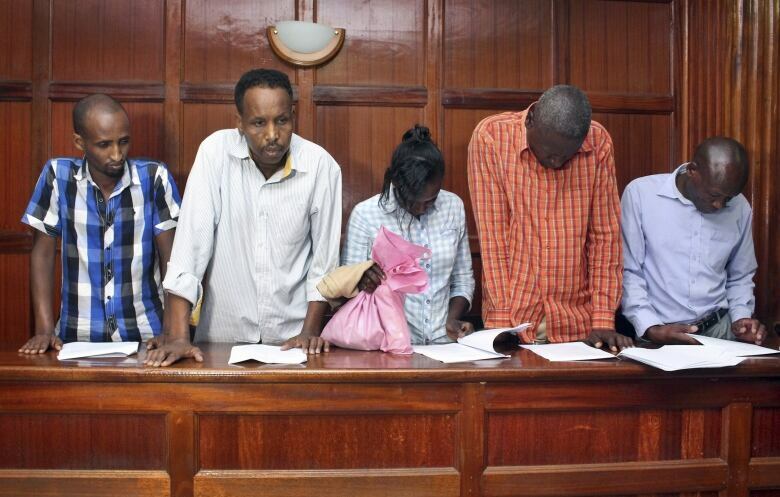 Researcher Otsieno Namwaya found that police made arbitrary arrests, beat suspects and solicited bribes after a 2014 attack by al-Shabaab that killed 87 people in the Lamu and Tana River regions. A year after that attack, none of the suspects had been prosecuted. Namwaya said he has yet to investigate how police have handled suspects following January's hotel complex attack, but said it's possible authorities are still employing similar tactics. "I doubt [it's changed] because there's no indication that the police have changed," he said. After he was blindfolded, Guleid said, he was afraid because he had heard of cases where suspects disappeared after being picked up. "You don't know what they're going to do because a lot of people they took, they're never seen again, even innocent people like me. But I was lucky." He said the Canadian government offered him consular services to ensure he was not mistreated in prison. His family hired a lawyer. Global Affairs Canada confirmed that a Canadian citizen has returned to Canada after being arrested in Kenya and that he was provided consular services, but for privacy reasons would not disclose his identity. Guleid said he received regular visits from his wife to bring him food and other necessities. He was in a five-metre-by-five metre cell with about 20 other people. They slept on thin mats on the floor, and at night, groups were often transferred to sleep in jails in police stations, where Guleid said conditions were much worse. Court documents show that Guleid and two others were released at the same time. There was "no need to continue holding them," one of the documents said. Guleid said he never doubted he would be released. "I was confident I'm going to be out soon, because when you're innocent you know," he said. CBC News found that he had no criminal record in Canada. He said before this incident, he had never been in trouble with the law. Guleid, who left Alberta for Ontario in 2015 during the economic downturn, said it feels good to be back in Canada after his ordeal. "I was missing home," he said, "except for the weather. I didn't miss the weather." The cold climate is also a reason it took him a decade to convince his wife she and their children should move here. "Every time I tell her, 'Come here, I will sponsor you,' she said, 'No, it's very cold in Canada. "Hopefully, in a few months she will see the summertime."